100% nylon straps ensures security for walking 2 dogs, which lets dog to be dog. Rust-resistant clasps can be used to direct strong puller as well. Padded handle fits your hand well and offers soft in hand in walking which releases strain of hand. Reflective line makes night walking visible and safer. 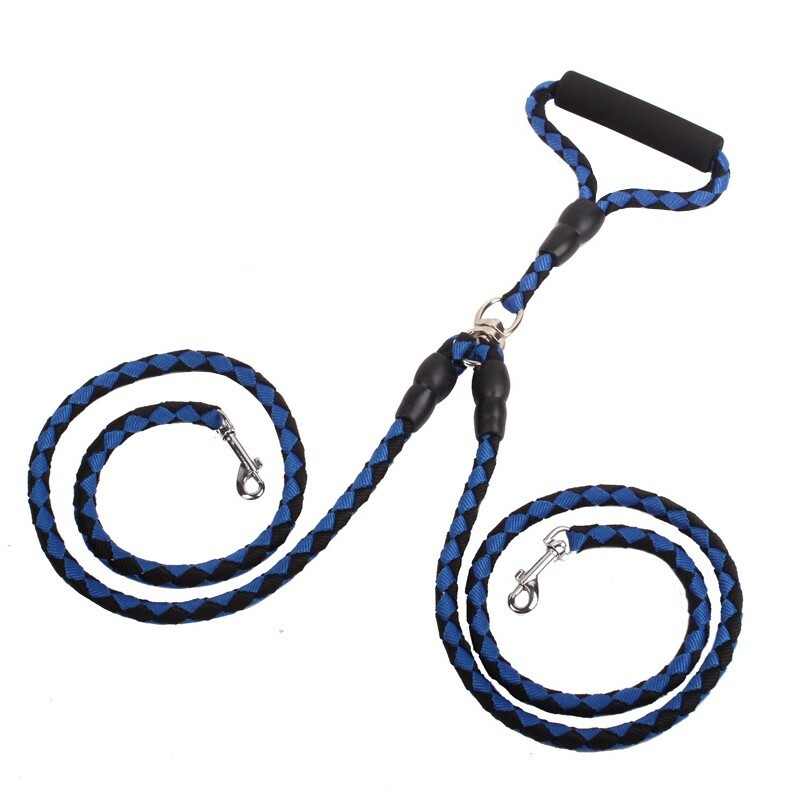 Tangle free design ensures no limited exploration for 2 dogs and you don't need to worry about twisted leashes. Now, many families have more than one dog at home, 2 dogs can be good friends instead of being lonely. If you have walked 2 dogs together before, you must experienced twisted leashes after walking, which is caused by your active furry friends. Untangle leashing is annoying especially when you just finished a long and tires walking. So a dual dog leash is very necessary for 2 dogs walking, which always have untangle system that offers great freedom for your pets and you. Even when one dog moves off to mark his spot and the other stops to smell something, you don't need to be struggled to manage two leashes. If there is a question can be solved by one single leash, why don't you choose one for try?